This Hallmark Keepsake Disney ornament is for a Baby's First Christmas 2008. 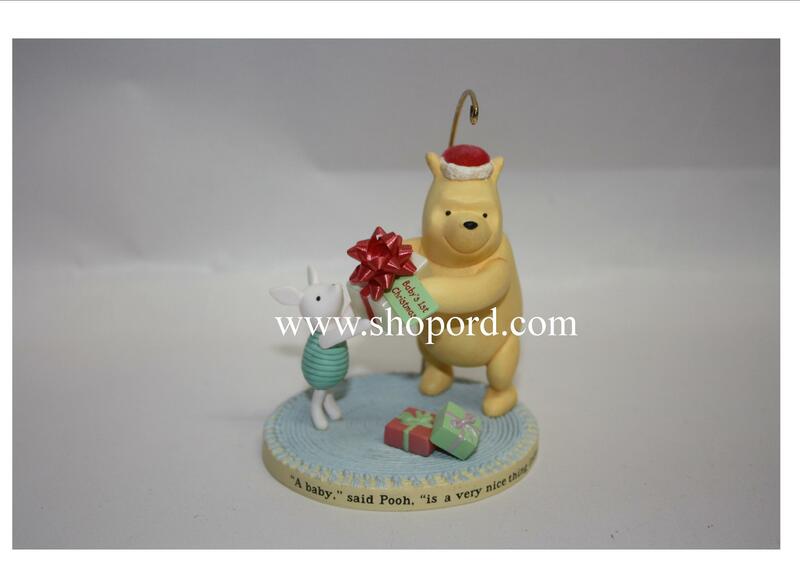 The ornament features Winnie the Pooh and Piglet exchanging a gift. This Hallmark ornament is dated 2008. Winnie the Pooh Collection - Classic Pooh. Sentiment on ornament: A baby," said Pooh, "is a very nice thing indeed.